On Saturday 31st October the Skatepark was officially opened by the Mayor of Ipswich. Dozens of young people turned up with skateboards, scooters and bikes. See pictures of the weekend on our facebook page. 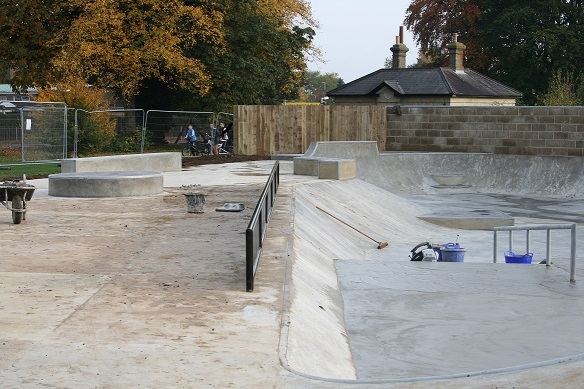 The Skatepark is almost finished. Grand opening by the Mayor of Ipswich at 11 am on Saturday 31st October. NWI BLT were at the installation of the Revd Jutta Brueck as Priest in Charge of St Thomas the Apostle, Bramford Lane. Uplifting service led by the Bishop of St Edmundsbury Martin Seeley. Good food and conversation – we hope to work with Jutta in the future.